Exploding the Paradigm . . .: So, What's the Point, You Ask . . . So, What's the Point, You Ask . . .
Do you just love banging your head against a wall? That's only one of the provocative questions that other writers and readers, too, have asked me about ANGEL PARK and my obsessive need to write a novel about SCHOOL, as if THAT were worthy of fictional attention. "I just couldn't stop myself," I usually say, and when they go on to ask, "What's the point?" --well, I'll just quote Jonathan Franzen, the Gen-X national fiction darling: "Fiction that isn't an author's personal adventure into the frightening or the unknown isn't worth writing for anything but money." Nothing wrong with money, of course, but sometimes the frightening story just needs to be TOLD! 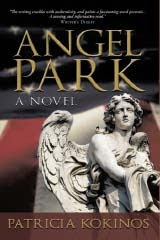 How do you think your novel, Angel Park, can have an effect on an issue this big? My novel can help with the most important first step, which is opening readers’ eyes to a new way of thinking and providing a new perspective not only on school systems but also on how we live our lives. You’re right, this is a big issue, and one of the most important ones we will face this century: How can we create schools that will inspire our students to be productive and happy contributors to their own lives, to our collective way of life and to the world? Isn’t that really the main question? To that end, I have created a companion website, http://changetheschools.com/, which takes up the issues of Angel Park and provides information about school change. 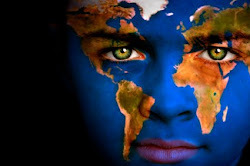 The theme of my site is “Changing the Schools Can Change the World,” and that’s also the title of my Facebook page (http://Facebook.com/ChangeTheSchools), where educators, parents, students, and others have gathered from numerous nations, including New Zealand, Norway, India, and Ghana to support a broad concept of cultural and school change. In the U.S., we need new national policy, not only to rescue the American Dream, but also to join with other nations to use the power of that dream to inspire and help children all over the world. The beginning of a better world, of global change, is right here in our schools and how we change our minds about what we want our kids to experience, how we want our society to change, and what we can contribute to the world.